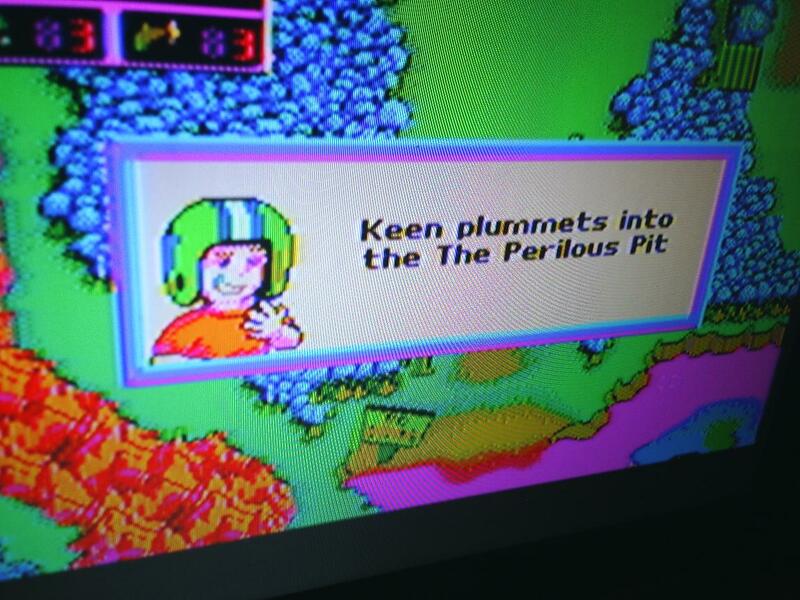 My LCD monitor/TV doesn't look nearly as nice as Keropi's CRT but this is awesome nonetheless! ^ there might be a way soon-ish to make a PAL 1084S-P1 ntsc compatible - changing the PAL decoder to the NTSC counterpart and adding/replacing some passive components. It's been under investigation from a more knowledgeable person, if it is a success I'll make a detailed post about the conversion. That would be cool. 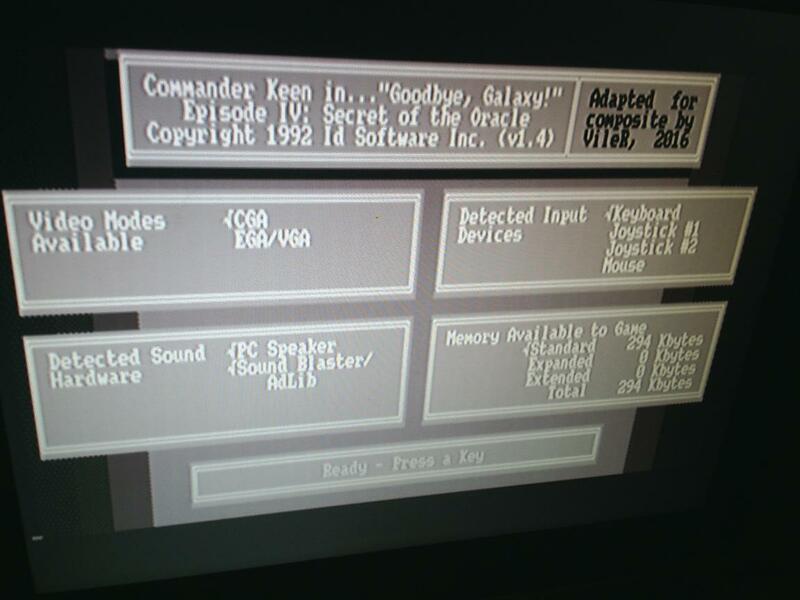 I have a Tandy badged CM8833 (SCART only), hopefully it's similar enough to make the same mod. @NY00123: to complement your PKCF post, I'll do a blog entry with some more details on the code... might help source/binary modders, I guess. Note that I didn't repack CKPATCH, only removed the existing UPX compression (I believe that UPX should have a 8088-friendly depacker option, but I haven't tested that yet). 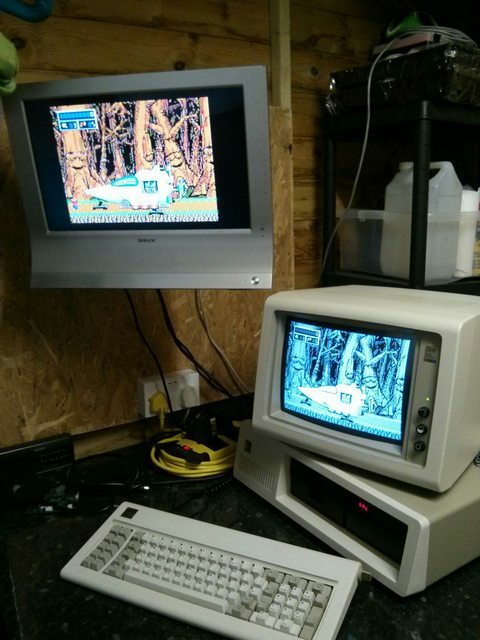 @bjt: interesting -- that's a hXc setup indeed Is your CGA card a 'new-style' one, by the way? Might explain the extra saturation, although I guess that could just be the camera. Nice to know! Was wondering about the minimum CPU requirements for acceptable performance (the 'typical' system that ran this game would've been a high-end 286/low-end 386SX, but those systems are unlikely to have CGA cards, let alone true IBM ones for correct colors). Yep, new style CGA. I have a V20 in my 5160 but it's too slow for this game really. Fun fact, the game might run on an 8088, but the self-extractors crash (K4C1-ASP.EXE and K4C2-ASP.EXE). 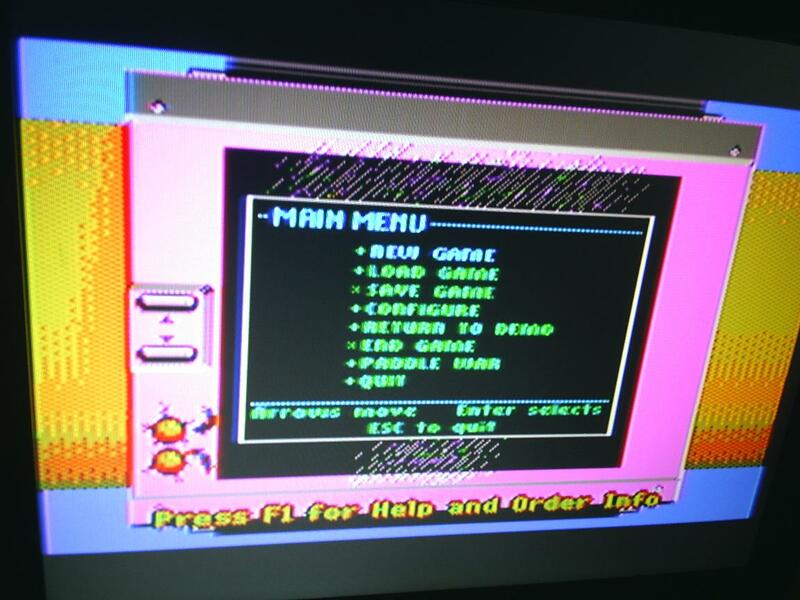 Does this composite version works as well with the video out from EGA cards? I capped* some gameplay footage, including toggling between RGBI and Composite. * Shot my PVM monitor with my phone camera! elianda wrote: Does this composite version works as well with the video out from EGA cards? No, unless you connect a board to the feature connector to create an NTSC composite signal. Could be a nice project for someone. 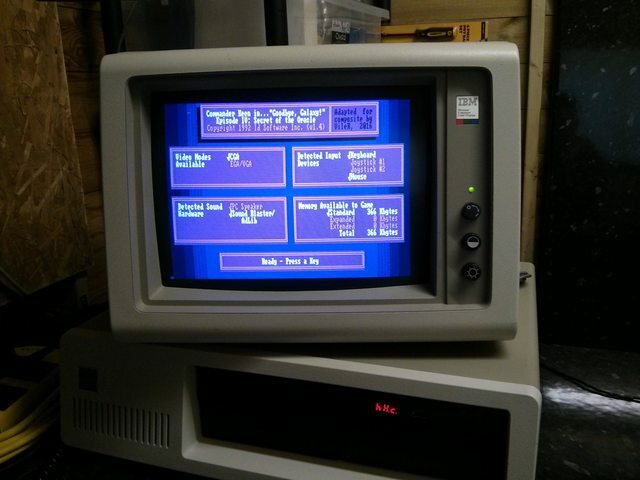 I wish i could try it on my 12MHz V20 but i don't have a real IBM CGA card. Anyway VileR this is awesome. Thank you sir! 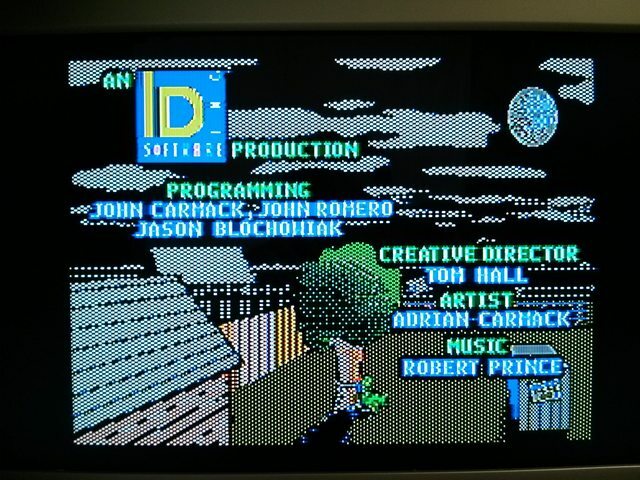 I hope to do some captures of CGA clones with composite over the weekend. An ATi Small Wonder and a Paradise PVC4. VileRancour wrote: @NY00123: to complement your PKCF post, I'll do a blog entry with some more details on the code... might help source/binary modders, I guess. Note that I didn't repack CKPATCH, only removed the existing UPX compression (I believe that UPX should have a 8088-friendly depacker option, but I haven't tested that yet). Regarding UPX, I've mistakenly assumed that you've used such an option of UPX. My copy of UPX appears to have an --8086 option, but since it's not exactly "8088", I don't know for sure if it'll be useful. To the ones who wonder, I'll quick add that in addition to CKPatch, ModId (the Windows EXE currently available from https://github.com/owenmpierce/modId) was used for importing the graphics. 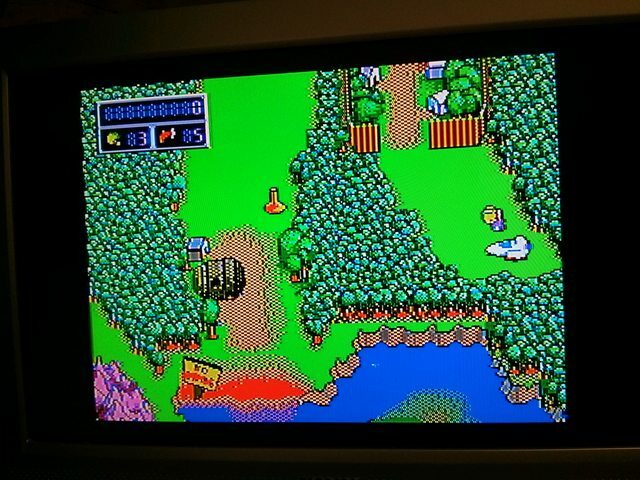 While the patch takes advantage of CGA mode 6 (640x200x2colors), rather than mode 4 (320x200x4 colors) as usual, the graphics' layouts are more-or-less the same. 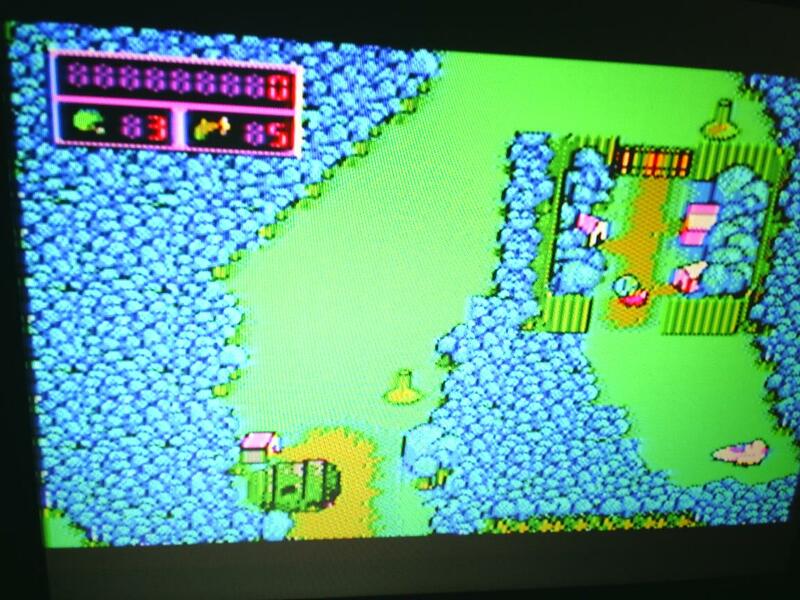 From what I understand, the EGA/VGA version should run a lot better, as the CGA version is quite CPU intensive. SquallStrife wrote: I capped* some gameplay footage, including toggling between RGBI and Composite. Heh, kind of surprising - the PVM preserves the 'stripy' appearance of the RGB picture even in composite mode, which probably means that its luma decoding bandwidth covers higher frequencies than usual. Guess I didn't consider such high-end equipment! Curiously the game looks quite a bit faster than in Trixter's video... that *is* a stock 5150, though? 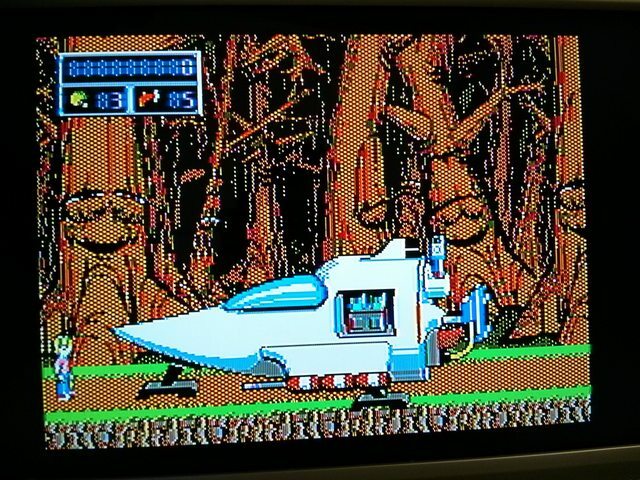 and potentially get 65,536 composite colors from EGA's 640x200x16 mode... hmm. Hey, that actually looks like optimal speed, or close enough anyway. Cool. NY00123 wrote: Regarding UPX, I've mistakenly assumed that you've used such an option of UPX. My copy of UPX appears to have an --8086 option, but since it's not exactly "8088", I don't know for sure if it'll be useful. Just standard terminology (the 8088 will run any 8086 code), so yeah, that's the option to use. Awesome work! Congratulations on a job well done. I've tested this patch on my "CGA" card and I'm glad to say it works. Scrolling is fine so far, just the colours are a bit funny, not to say funky. But maybe that's either because of my setup or Billy hasn't seen a doctor in a while. Yes, to elaborate on that: The 8088 is basically an '8086SX' in the same sense as the 80386SX. It is the same CPU, on a smaller bus. So for applications there is no difference between an 8088 and 8086. The 8086 can just be a bit faster because it has a 16-bit bus, where the 8088 has an 8-bit bus. So in programming parlance people generally refer to the '8086 instructionset', rather than 8088. But they are both the same. Jo22 wrote: Awesome work! Congratulations on a job well done. Stock except for the Lo-tech 1MB RAM board! Whew! I'm glad you're not angry about my pictures. 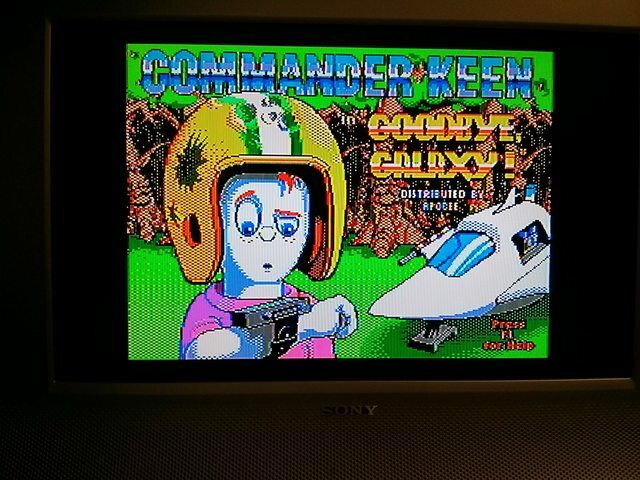 I've been a huge Keen4 fan and just had to test this awesome patch myself on the hardware I have! 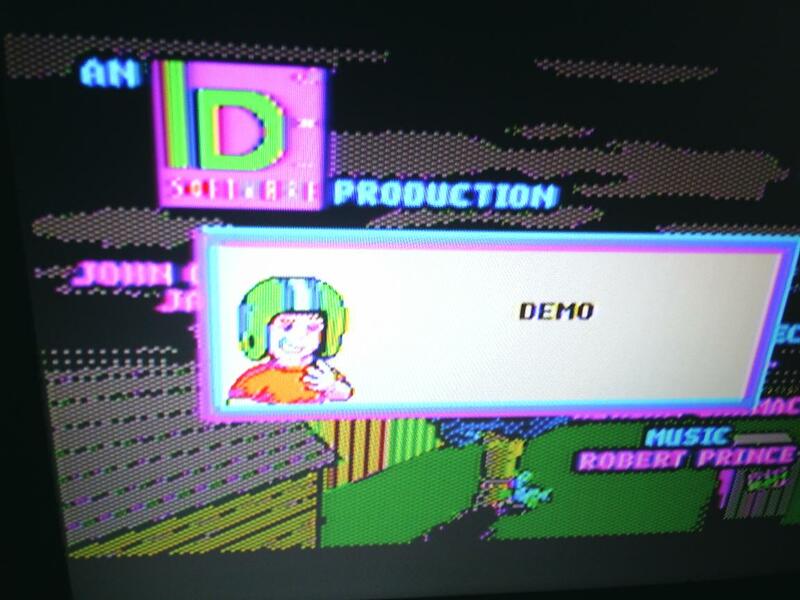 The pictures were taken from a cheap LCD monitor, which claims to be multi standard (PAL/NTSC/SECAM).